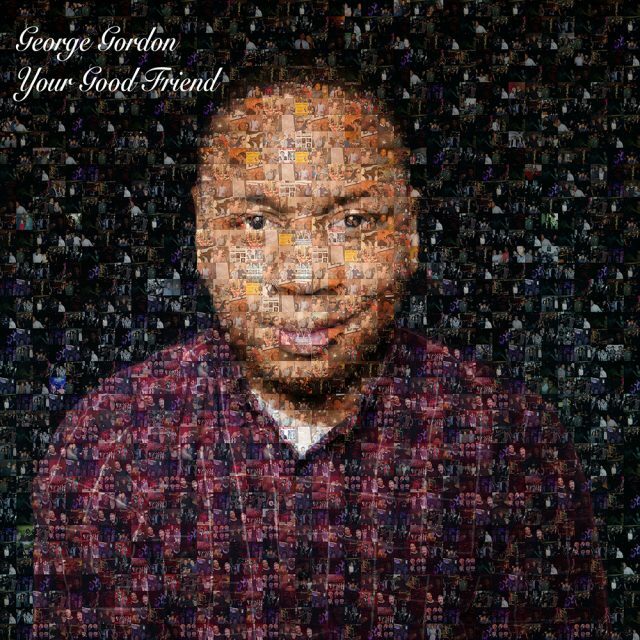 George Gordon’s debut stand-up comedy album Your Good Friend is aptly named – a few minutes into the tracks and it’s hard to believe I don’t know him personally. A master of casual punchlines, it’s no wonder George feels like a familiar friend. 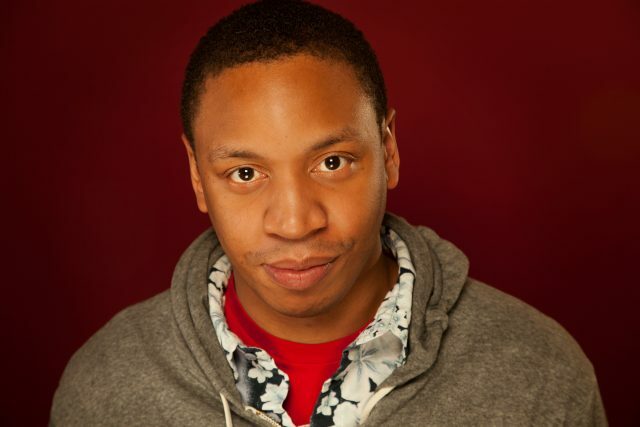 The Brooklyn-based comedian and seasoned performer has been in the comedy scene for over ten years, and performed across the U.S., including the Laugh Track Festival where he won the audience award. His album, which hit #1 on the comedy iTunes chart this month, features 19 tracks individually dedicated to a particular friendship in his life that’s resulted in some truly hilarity-inducing experiences. There’s a run-in with Paul Giamatti, an identity mix-up at a wedding, a lesson about drugs, and a surprise encounter with “the original Becky from Roseanne.” Needless to say, there’s a lot of catching up to do with our good friend George Gordon, and the album certainly doesn’t disappoint. Each story, with its casual and conversational tone, is as easy listening as it gets- perfect for banishing Monday blues on a morning commute, or lighting up a room full of friends. If you get a chance to catch his act in person, be assured, his material is worth catching a few subway transfers into the city. We got the chance to talk with George about his adventures in comedy over the years and the release of his new album. Note: the interview has been edited for clarity. 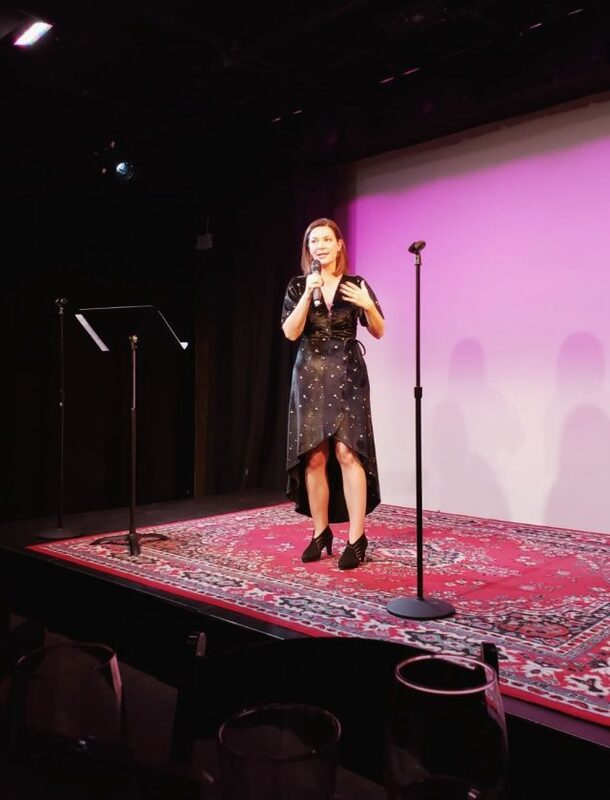 Brokelyn: How did you start doing stand-up comedy? George: I started doing stand-up comedy in July of 2005. I was working at a liquor store in Tennessee and was a little bummed about where my life was going. I went to a comedy show at the Hi-tone cafe and saw Doug Stanhope. Now at the time, comedy only existed on late night and HBO specials… I didn’t think people actually did that for a living. I sat there on a barstool in the back… and I was just mesmerized. I thought [his performance] was the coolest thing I had ever seen. I had this nerd encounter with him afterwards. I shook his hand and went, “That was great.” And before he got out the, “Thanks man!” I was out the door. I said to myself, “Whatever I have to do to do comedy, I want to do that.” So I sold all my stuff and moved to DC. Brokelyn: Have there been any surprises since you began doing comedy full time? George: It’s always a surprise to meet comics that I have respected and loved my whole life. I still geek out. I just don’t run for the door anymore. Brokelyn: What was it like to see your album hit #1 on the iTunes comedy charts? George: Not going to lie – seeing my album hit #1 on the comedy charts was very surreal. I never thought about that happening. My mind was like, “Let’s put this record out. Hopefully people will listen to it and like it.” I went to bed the night before and it was #4… and as the day went on it keep moving up. It kept climbing and I was like, “Whoa, I currently have the #1 record in comedy. Ahead of some of my idols. Wow.” I ate some cookies and went back to sleep. Brokelyn: Your comedy album has a conversational tone, and is dedicated to many of your good friends– what’s your number one tip on making adult friendships? George: Find people who nerd out about the whatever it is you nerd out about. Everyone I’m friends with – we have that one thing that we geek out about. And, of course, alcohol. Lots of alcohol. That’s probably 1A. Brokelyn: What’s something about you most people wouldn’t know? George: I don’t like fruit. All fruit. I had a piece a fruit at as a kid and, according to my mother, my response was: “It made a funny sound when I bit into it.” If I’m at a dinner party and there’s a dish with fruit in it, I respectfully will eat around it. Brokelyn: When on stage, do you ever improvise in your set? George: I don’t improvise a lot onstage because I’m very particular about the words and how they are placed in the jokes and order. The comics who can do that I totally envy. What I do like is when audiences make me work for it, and I have to figure it out onstage how to get the laugh out of them. And for some reason that’s fun. Brokelyn: Where can our readers catch you performing soon? George: November 28th I will be at 727 Create which is an art space in Brooklyn. Then at QED December 21st. A lot of times I’ll get asked to do spots the day of which is always fun. Your Good Friend is available on all digital platforms from Little Lamb recordings. George Peyton Gordon III (yes, that is his real name) currently lives in New York City where you can see his stand-up almost every night, then argue with him about things like which is the better Weezer album—Pinkerton or Blue (definitely Pinkerton)—or why Alien is better than Aliens (because it just is). He has been in the New York Underground Festival, The Bridgetown Comedy Festival in Portland, OR, The Out of Bounds Comedy Festival in Austin, TX, the audience award winner at Laugh Track Festival in Denver and his writing has been included in the blog Rock Bottom. He has an unhealthy obsession with using parentheses. 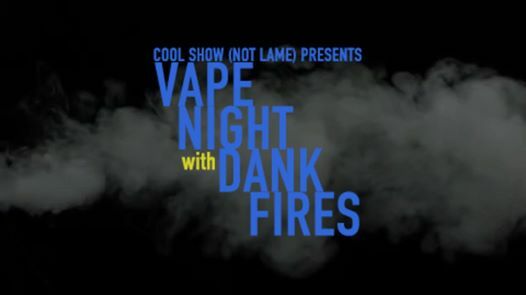 Bless yourself with a weed-themed variety show. 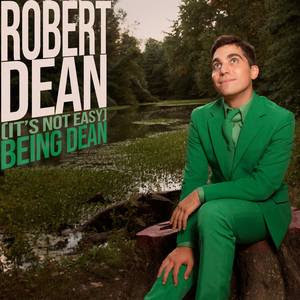 The true Robert Dean experience.